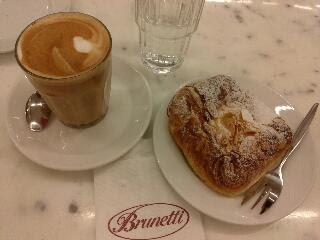 Awesome coffee from Brunetti in Meyer, Melbourne. However the almond pain au chocolat was average. Must go to the huge Brunetti on Lygon St!